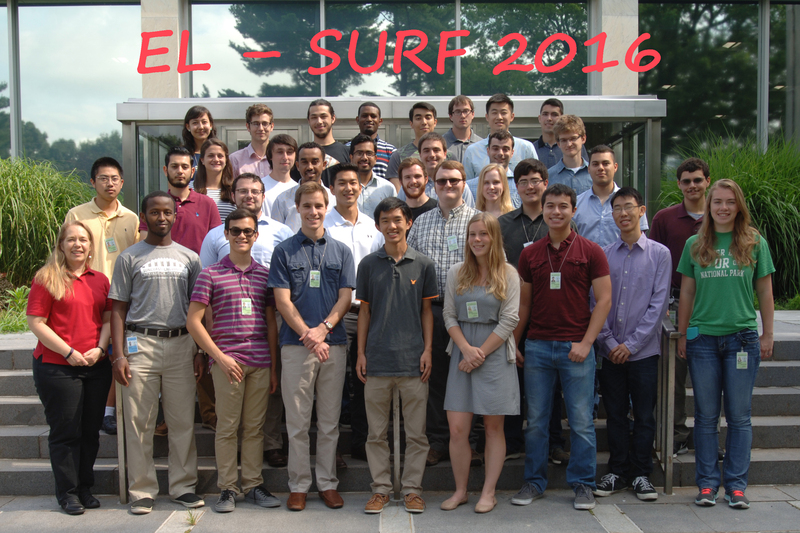 The Engineering Laboratory at the National Institute of Standards and Technology offers a 11-week Summer Undergraduate Research Fellowship Program (SURF). If you are interested in interning in the Engineering Laboratory next summer, we hope to see an application from you! SURF students gain valuable hands-on experience by working one-on-one with an engineer or scientist for 11 weeks ... and you get paid too. In addition to a $5500 stipend, travel and housing allowances are available for those who live outside of the NIST immediate area. Application packages must be submitted by the student's academic institution; e.g., by a faculty member or other appropriate administrative staff. Complete information about the program and application process is available on the SURF Application page. When applying, indicate you first- and second-choice programs from among the six possible choices. Applications may be considered by any of the programs, with preference given to those indicated on the application. The essay within your application is extremely important. Use this opportunity to tell the reviewers about yourself, indicate the type of research you are interested in, and why you think that SURF will have an impact on you. All of this information is helpful to find the best match with our mentors/projects. There are SURF opportunities throughout NIST's technical research areas – including opportunities at NIST's other campuses. Check out their web pages as well!